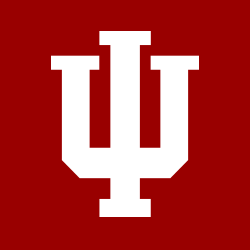 Formulate policy governing the activities and welfare of the students at IU South Bend. Represent the interests of students enrolled in academic programs at the IU South Bend campus. Represent the student viewpoint on administration and faculty committees. Encourage opportunities for student involvement on the IU South Bend campus and in the surrounding community. Protect the rights of all students enrolled on the IU South Bend campus. As an elected body, we act on behalf of the Student Body. Our key responsibility is to allocate Student Activity Fees; a fee that you pay each semester. Funding Student Clubs, Organizations, and Departments like the Student Activities Center. Sitting on Campuswide, Faculty-Level Committees and Providing Input on both Projects and Policies. The Constitution (amended April 2011) is the governing document by which the Student Government Association conducts its business. By-Laws are binding indefinitely until changed by the Senate; they are subordinate to the Constitution, yet supersede any and all bills of legislation.